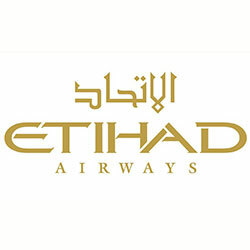 Etihad Cargo, a United Arab Emirates airline and freight carrier, began a weekly Monday freight service to the Dar es Salaam Julius Nyerere International Airport starting from Friday 13th June 2014, according to the company’s press release. Airbus 330-200 freighter that can carry up to 64 tonnes will be used for weekly flights on the Abu-Dhabi – Dar es Salaam – Nairobi – Abu-Dhabi route. Etihad Cargo is expecting to capitalize on the import and export demand of Tanzania by importing manufactured items such as electronics, medical equipment and some food items to Tanzania, and exporting perishable goods. According to the Etihad Airways’ Chief Strategy and Planning Officer Kevin Knight, Tanzania is a new and exciting market for Etihad Cargo. “Tanzania is a new market for Etihad Cargo, and our weekly routing will allow us to capitalize on the strong import and export demand to and from one of the fastest growing cities in Africa,” said Kevin.